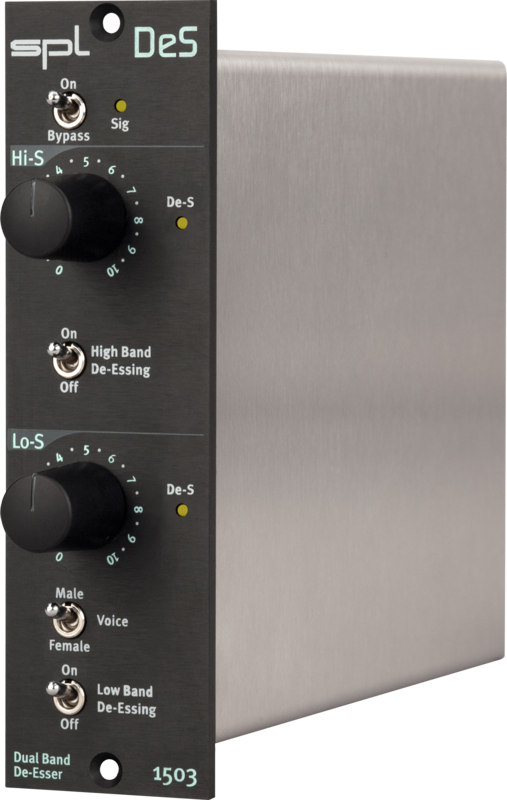 SPL's famous De-Esser in the dual-band version put in a single slot module for the 500 series. Back in the 1990‘s, we developed an alternative way to process signals based on phase cancellation in order to reduce sibilance. Unlike traditional compression methods, this procedure is much more unobtrusive and simplifi es control to one single parameter. 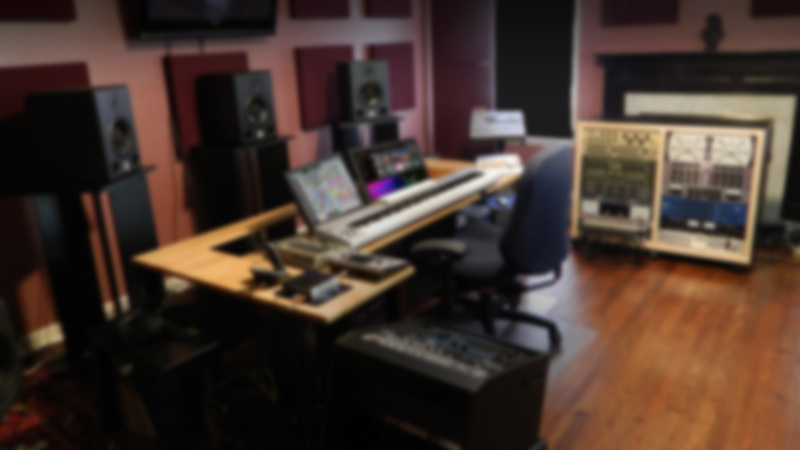 SPL‘s De-Esser quickly became a standard reference among recording studios, broadcast stations and live sound engineers. The Dual Band De-Esser expands on this concept by making use of two frequency bands that can be used independently or jointly. Two de-esser stages increase processing effectiveness without introducing audible artifacts. 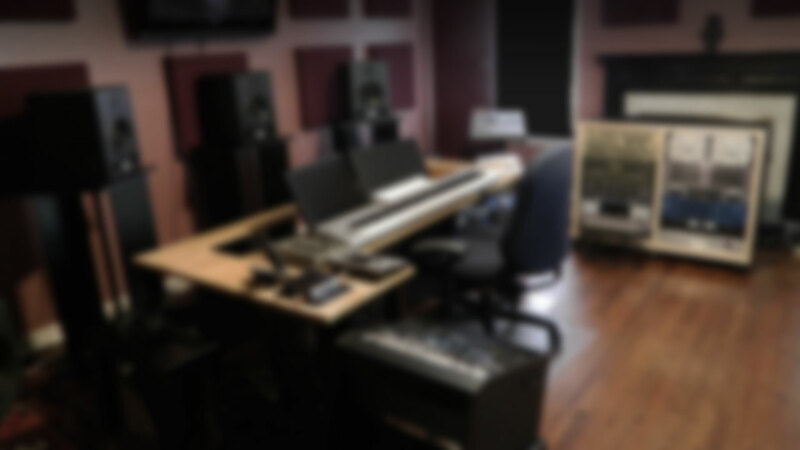 Focused processing with high and low bands makes it possible to process sibilant sounds with great precision. You can use the two processing stages separately or jointly. They are connected in series as independent de-esser modules. The Low Band De-Esser (Lo-S) is set fi rst in the chain. If both de-essers are engaged, there is interaction between them: a signal already processed with the Low Band De-Esser is different from the raw material that the High Band De-Esser would otherwise process. SPL`s Auto Threshold technology is an automatic threshold-adjusting function. Level differences in the input level caused by the varying distance to the mic, are compensated for automatically. This ensures even de-essing independent of the input signal level so any necessary compression may be applied post the de-esser. The Male/Female switch allows you to adjust the Low Band De-Esser to the type of voice being processed. These values have been determined by practical experience, so that the processor adapts better to gender. Nevertheless, you cannot take for granted that these settings will suit every single male and female voice. Consider the Male/Female function as an additional tool to help you set the Low Band De-Esser more precisely according to your needs. Always trust your ears to fi nd the best settings.